Whether high in the treetops or down in the rapids, get ready for action-packed outdoor adventure! 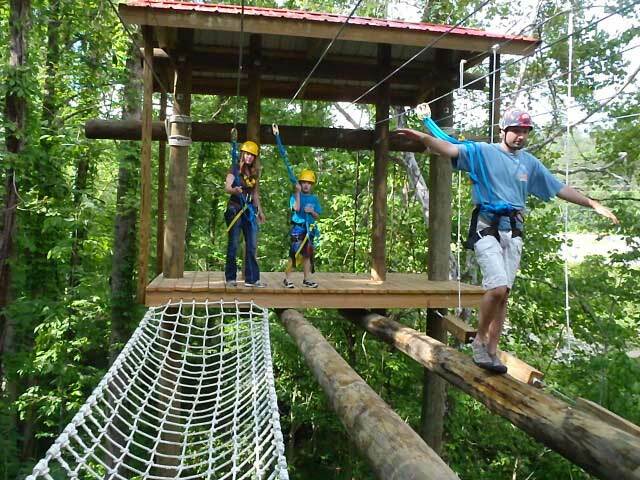 Take in Rafting, Zip Lining, Ropes Challenge Course, Rock Climbing Wall and a 150 foot swinging bridge to our exclusive 10-acre Family Adventure Island with playground, nature trail and picnic area. Thrill seeker? 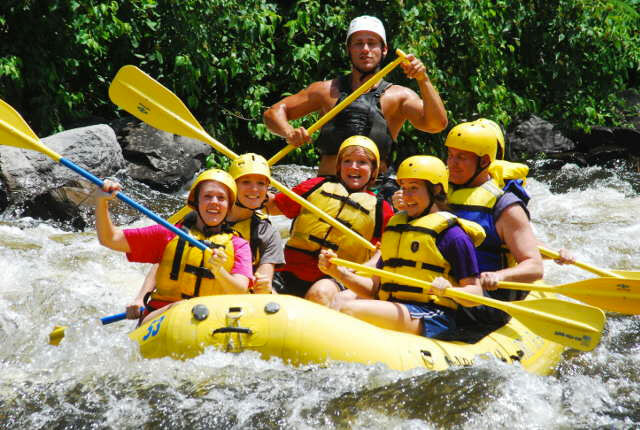 Experience the most action-packed section of whitewater rafting on the Upper Pigeon River featuring 5 miles of Class III and Class IV rapids for ages 8+. Little ones? 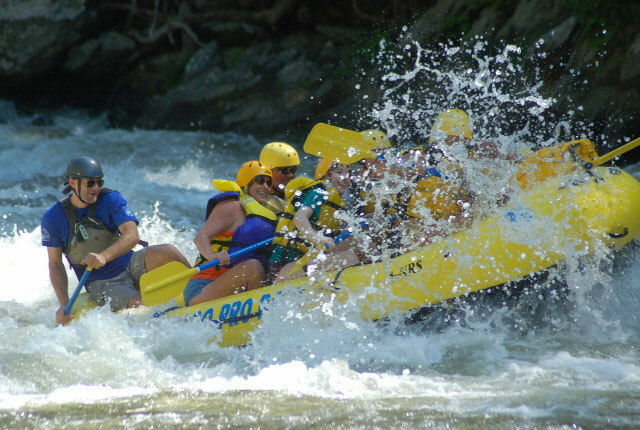 The Lower Family Float Section for ages 3+features 6 miles of Class I and Class II rapids. Ready to fly? Soar through the treetop canopy on a zipline course over half a mile long, with spectacular views of the Pigeon River from high in the treetops. Up for a challenge? 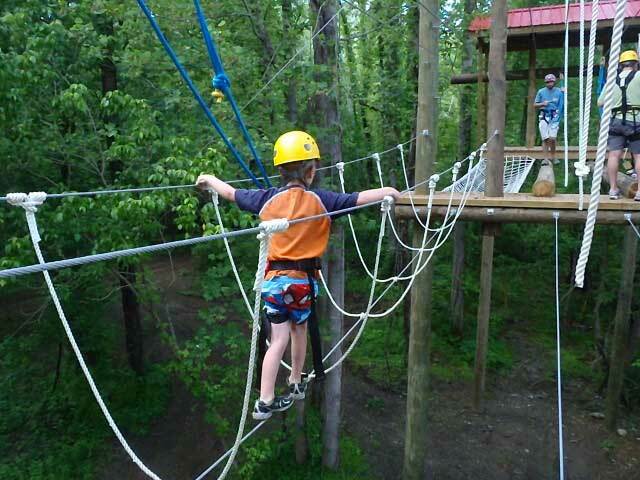 Take on our high elements ropes challenge course, with four different skill levels ranging in difficulty. Want a NEW experience? Our brand new four sided rock climbing wall is designed to be accessible to all ages and fun for all skill and athletic levels. With everything from wild to mild, it’s family friendly fun for all ages! 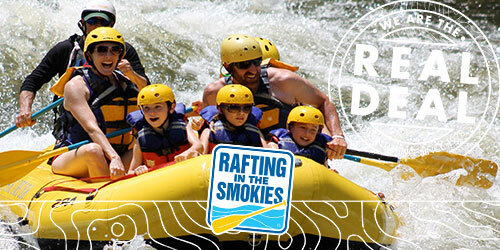 Spend the day or your whole vacation with Rafting in the Smokies. We offer special combo packages for raft & zip; raft & ropes; raft, zip & ropes; raft, zip, ropes & rock; and paddle & saddle with horseback riding. 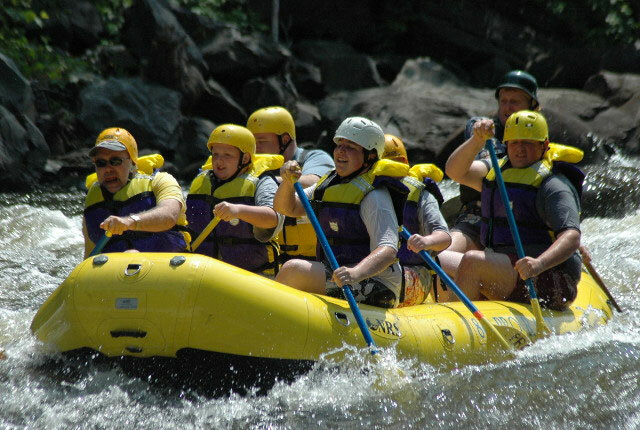 Check out all our Adventure Packages & Specials on our website. Make the most of your precious and valuable vacation time. 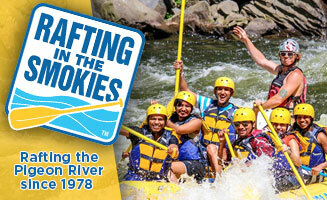 Let Rafting in the Smokies show you the best of the Great Smoky Mountains for the best value!